This is the first set of these adorable shabby chic planner stickers that I have made. 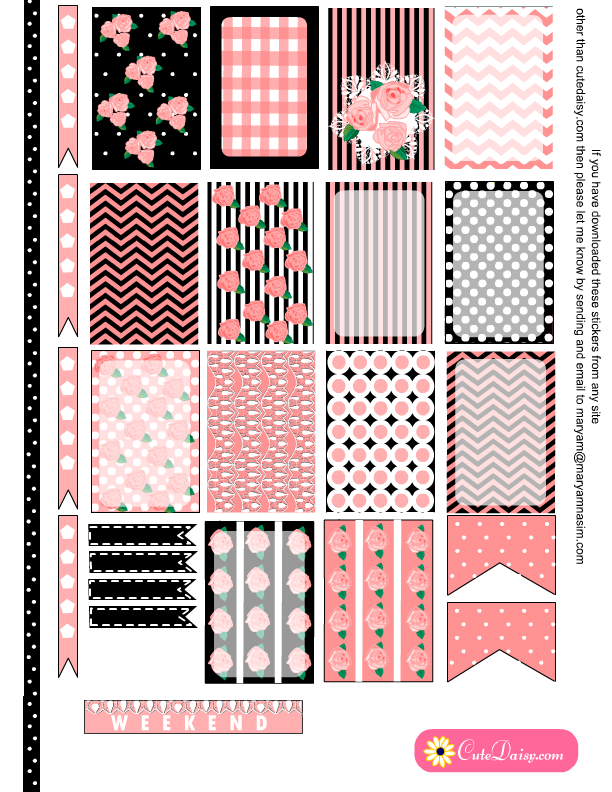 You can download this set in black and pink combination for your Happy Planner here and for your Erin Condren Life Planner here. 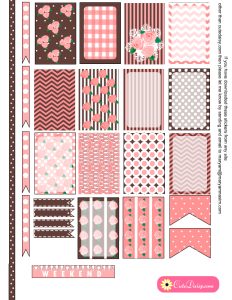 This is another set of these adorable stickers in pink and brown combination. 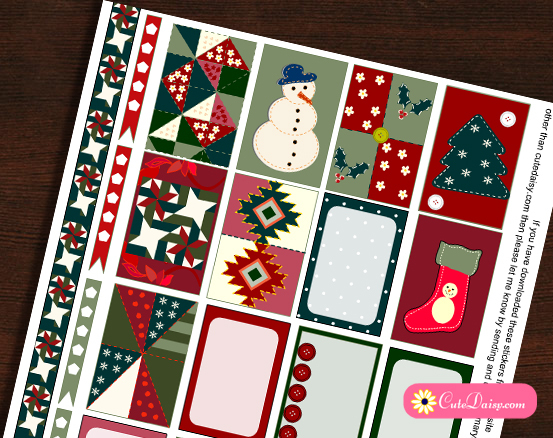 You can download these for your happy planner here and ECLP here. Click here to download these stickers for Happy Planner and here for Erin Condren. Here is the beautiful set of the same stickers in pink and taupe color combination. 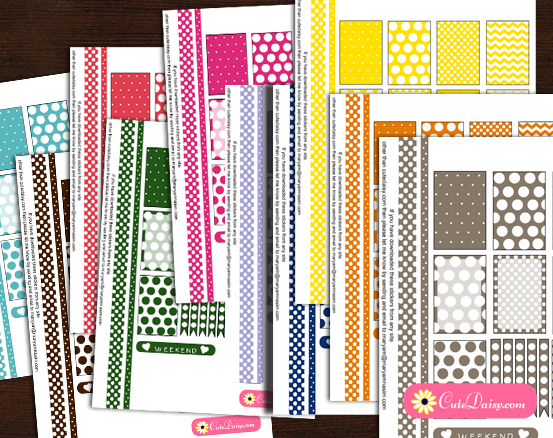 Click here to download these for HP and here for Erin Condren Life Planner boxes. Click here to download this beautiful set of planner stickers in pink and teal colors for your Happy Planner and click here to download these for your ECLP boxes. This is the 6th and final set of these stickers in Pink and Blue. 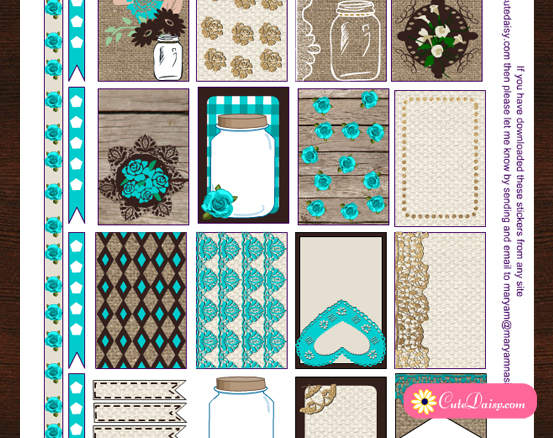 Click here to download these for Happy Planner and here for ECLP. 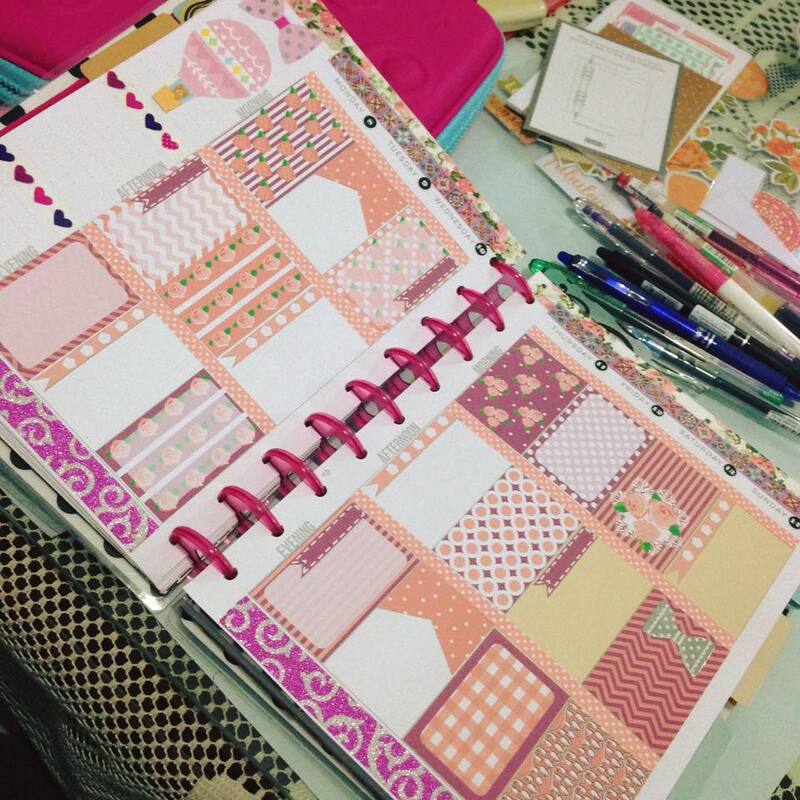 This is a beautiful layout of Purnama Orked using these stickers. I love all of your work, so creative. Thanks! Love the pink and taupe. Thank you for making these! Loving the pink and brown and the pink and lavender. These are all beautiful! I will be printing these..all of them..out!! Thank you again, for all your hard work and dedication that you put into each of your sticker layouts. I need more planners just so I can use more of your stickers!!! So very pretty! Thank you so much for all your beautiful work! These are so cute! Thanks. Amazing colors and designs!You have made my day with all these. Just love them and can’t thank you enough. Thank you again for sharing your amazing and creative talent 🙂 Love all your designs and will downloading these also. Will have to get a pic taken so you can see them in my Happy Planner, again thank you !!! Thank you! I love the dark blue~hard to pick they are all so pretty!! Thank you. I love the pink and taupe set most I do believe. But they are all so pretty. Thank you Maryam! These are so beautiful! 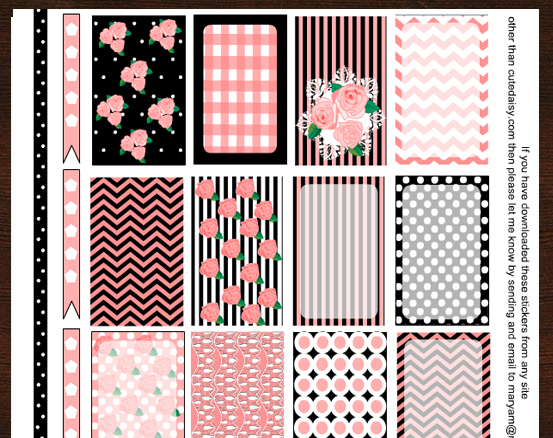 I think all of the Chic collection has to be one of my favorites that you have designed! All of your work is fabulous, bet these can be used for so many diffrent occasions. Birthdays, Anniversaries & Valentine’s Day are just a few that popped into my head when I saw them. I’m so greatful that you share your amazing talent with all of us. 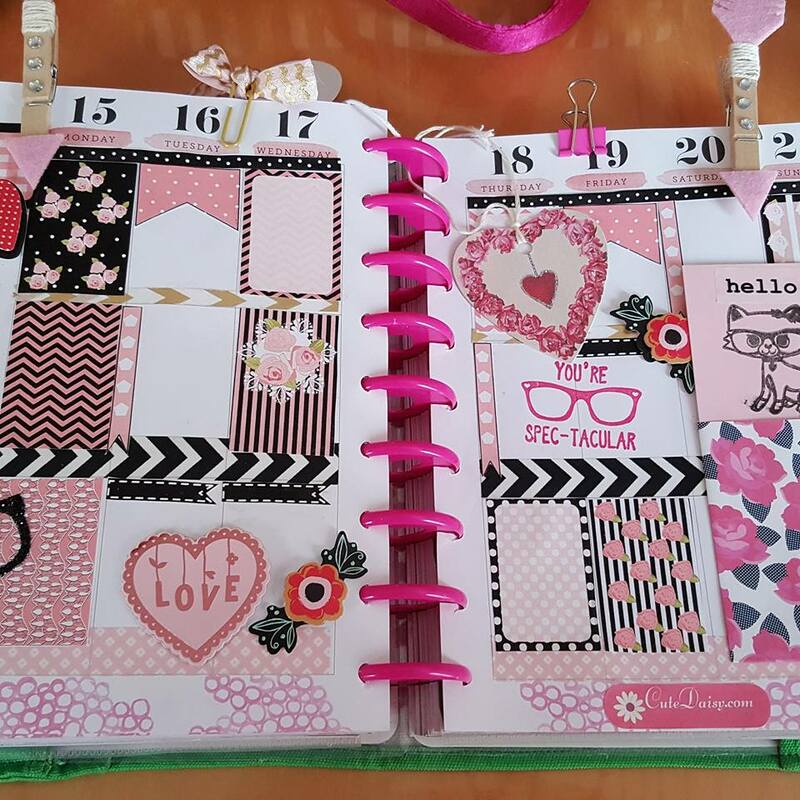 Yes I’ll look forward to see a picture of your happy planner. Thank you so much <3. I just found your beautiful printables, but how do I get the PDF??? What paper do you print them on? Is there sticker paper you can buy? Thanks for making these gorgeous printables.